When reports of a widespread, deadly “outbreak” begin to surface, these ordinary people face extraordinary circumstances and suddenly their fates are intertwined. Recognizing they can't outrun the danger, Scarlet, Nathan, and Miranda desperately seek shelter at the same secluded ranch, Red Hill. Emotions run high while old and new relationships are tested in the face of a terrifying enemy—an enemy who no longer remembers what it’s like to be human. Red Hill grabs you from page one and doesn't let go until its stunning conclusion. 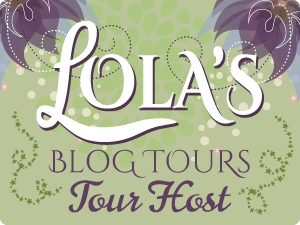 This is #1 New York Times bestselling author Jamie McGuire at her unforgettable best. 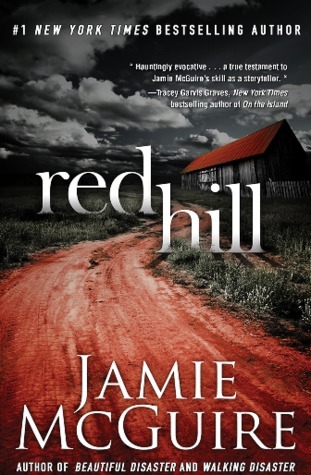 Red Hill is the latest release from Jamie McGuire, the author of Beautiful Disaster, and boy is it different to anything else she has written. Red Hill follows the story of a number of individuals caught up in the first day of the zombie outbreak. We meet Scarlet, Nathan and a group of friends, Bryce, Cooper, Ashley and Miranda as they realise what is happening and fighting to protect those they love at all costs while getting the hell out of dodge. I've never read anything like this before, usually with apocalypse books, the characters are either dead in the outbreak and fighting to survive or at the end of it. Never before have I read a story from the beginning where you see how these people (most of whom have never fought in their lives) have to totally readjust their lives and fight to live. I loved seeing how they all coped while reading the switching dialogues from the characters varying points of view and what they were fighting for, scarlet for the safe return of her daughters, Nathan want to protect his daughter at all costs and the group who wanted to keep each other as safe as they could. Along the way, via various different routes and after battling their own battles they come to be at the same place, Red Hill, along the way adopting others into their group and helping to rescue a little girl from her own personal hell. Scarlet was great at the end of that. I gave the girl a high five. An undercurrent to the story is Scarlet's need for her daughters safe return, she constantly waits for them to come over the hill and return to them and when watching and waiting gets to much she gets proactive. I loved how she came out of her shell and became this tough momma bear to the group, they certainly needed it. Of course, not everyone survived, and the group took the time to mourn and bury their dead with respect and love as they all came to love each other. Some more so than others, yes I'm looking at you Nathan and Scarlet, but I think they needed to find each other, or they would never have survived as well as they did.